Rangatahi Inc is ramping up its business with ākonga readying to test their products in the market place in the second term. 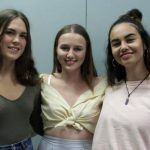 The Kura’s entrepreneurial programme, Rangatahi Inc, has had a busy first term taking part in the Young Enterprise Scheme (YES) E-Day at Toll Stadium, running a stall as part of the Pasifika Fusion Festival in Whangarei at the end of February, as well as working with Northland Inc on the creative brief for a new set of promotional images promoting Tai Tokerau to international tourists. 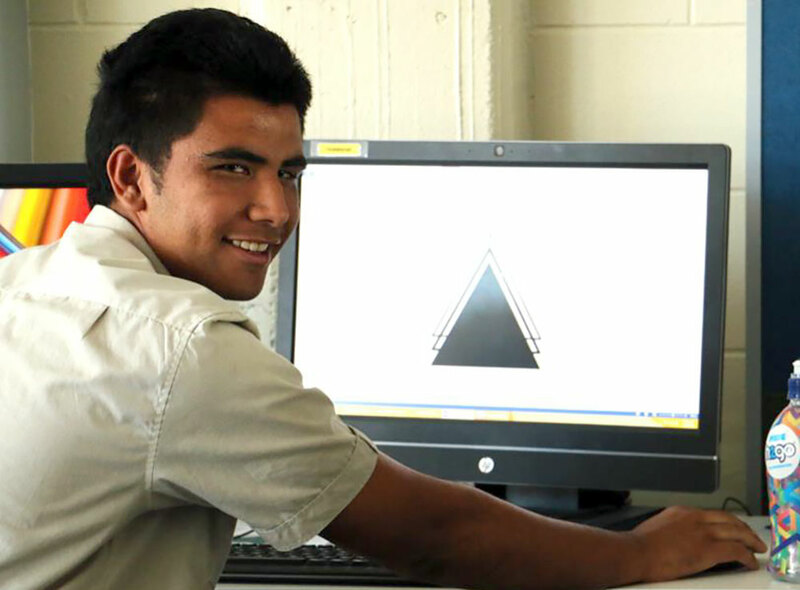 Paora Allen (above) works on the branding for Rangatahi Inc.
Rangatahi Inc tutor, Aroha Vause, said despite the busy and hectic workload, the business ākonga had been diligent in developing products and their brand to test in the market place next term. “It’s been a bit of trial and error getting their products ready to test, but they’re a good bunch who have applied themselves well,” she said. Rangatahi Inc is developing a business case to establish a café that will produce organic, healthy, nutritional products based on traditional ingredients. One of the ākonga, Paora Allen, said the processes to developing business were eye-opening. “We’re pretty proud of what we’ve developed and where we are, but the proof will be when we go to market,” he said. 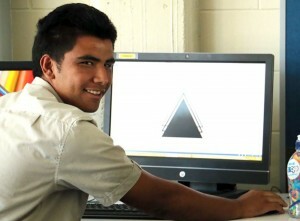 Rangatahi Inc was launched last August as a platform for youth business development as one of the Kura’s programmes. The aim is to give ākonga skills and experience at business development. The Northern Advocate recently profiled another Rangatahi Inc. initiative that will help promote Northland and Māori culture in a tourism project that will be seen around the world. The full article has been reproduced here. 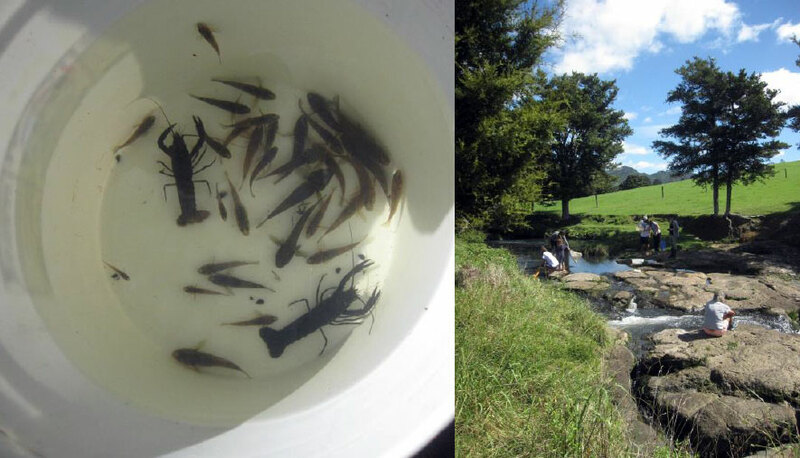 The final practices for the Tai Tokerau Festival will be held all day on Monday, April 11, finishing at 6pm, and during school time – as needed – on Tuesday and Wednesday. Final organisation details for the festival will be sent home in a separate pānui on Monday. All ākonga in Years 9, 10, 11, 12 and 13 are expected to wear their number one uniform to festival. Boys are to wear black trousers and plain black shoes. Girls are to wear their best black school skirt, opaque black stockings and plain black shoes. The ‘Festival 40’ rehearse for the Tai Tokerau Festival. All ākonga in Years 7 and 8 are to wear their highest standard of school uniform. Those that already have number one uniform are welcome to wear it. Boys and girls: no jandals and only plain black shoes are acceptable. See the flyer (attached to this week’s pānui) for information about what kai is available for purchase at the festival. Remember that whānau must supply a packed lunch for your tamaiti/tamariki or money to buy lunch. 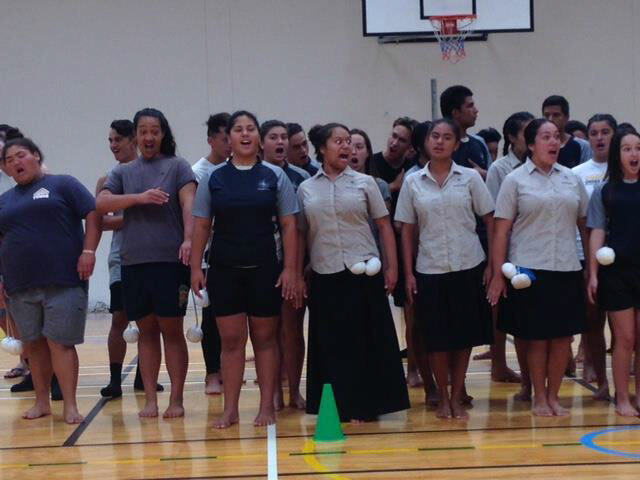 The kapa haka group will perform a dress rehearsal in the gym on Monday 11th April at 5.30pm – nau mai, haere mai. Thank you to all whānau who have returned the blanket EOTC form that was sent home last week and this week. Please collect one from the kura office (or download here) if you have not yet done this. Any ākonga who has not returned this by next Wednesday will not be able to travel to the festival so please get those signed and back to us urgently. The Education Review Office (ERO) was onsite this week. Te Kāpehu Whetū Pouwhakarae, Raewyn Tipene, said the initial feedback from the ERO representatives was positive. “Overall they were hugely impressed with the Kura and having them onsite has helped us to identify some gaps in our systems and processes,” she said. ERO is the government department that evaluates and reports on the education and care of students in schools and early childhood services. Schools and early childhood services are reviewed on average once every three years. 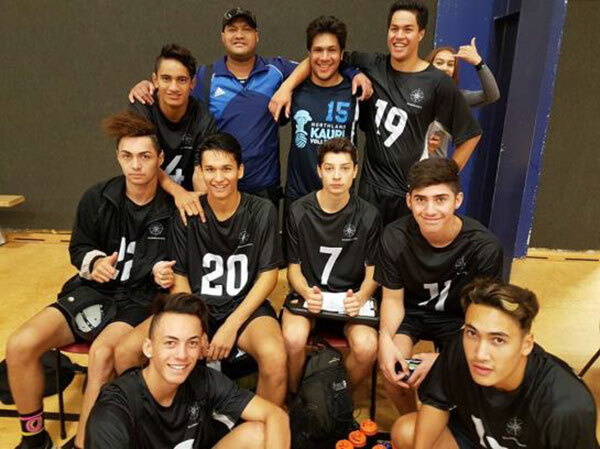 The Senior Boys A volleyball side have won the right to play the best in the country after a tough week at nationals that saw them come runners up in their section, losing three sets to one to Long Bay College from Auckland in the final. TKW won the first set 25-22 in a tight game, but went down in the following three sets 17-25, 18-25 and 17-25. However the A team will move up to division one after placing second in division three. 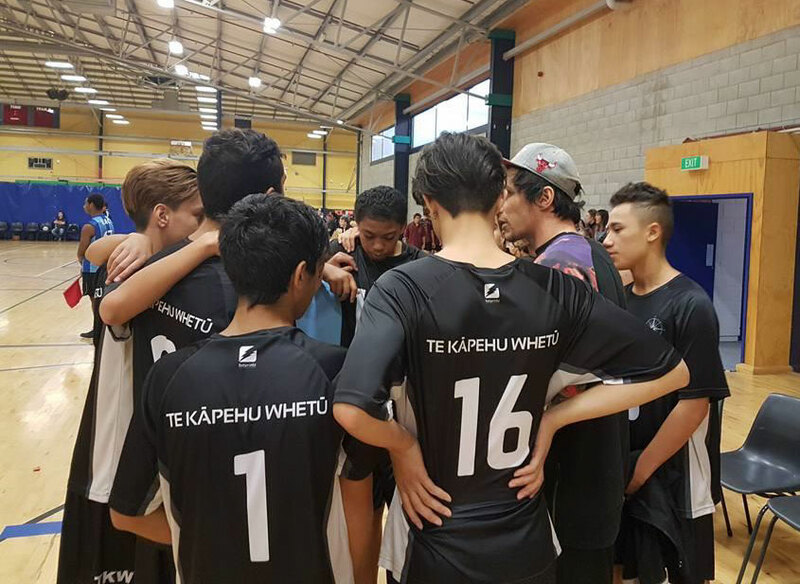 The Kura had two teams at the NZ Secondary Schools National Championship in Palmerston North during the week. 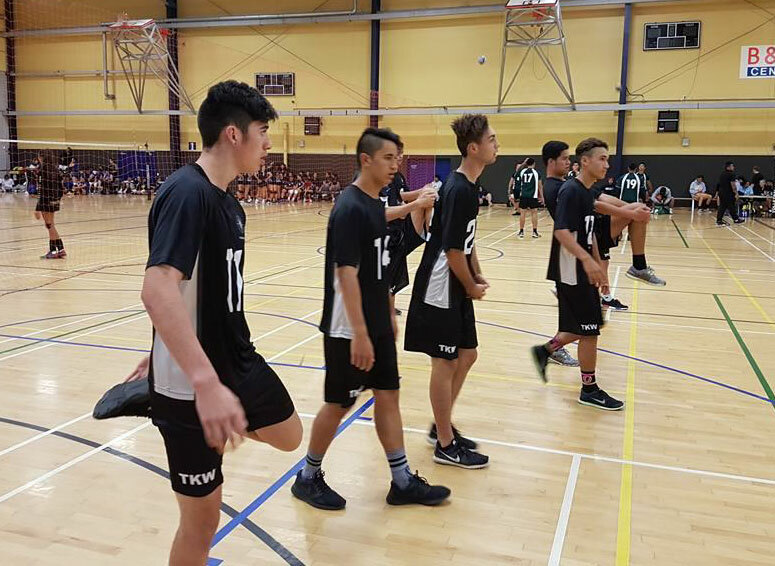 The Senior Boys A team booked a place in Friday’s final after overcoming Bishop Viard College from Wellington three sets to one in the semi-finals of division three on Thursday. In an evenly contested match, TKW won the first two sets 27-25 and 25-21 before losing the third 16-25. They had too much fuel in the tank and won the fourth comfortably 25-18. Their quarter finals was an intense encounter against Gisborne Boys. After winning the first two sets comfortably, Gisborne fought back to take the next two 25-19 and 25-23. In the final set the Kura’s boys stepped up another notch winning 15-11 and booking a place in the semis. In pool play, the Senior Boys A team won two of three matches, their only loss coming against Aranui High from Christchurch. The Senior Boys A team in action at the nationals in Palmerston North. Grammar Colts. They had 509 points for and 723 against. Coach Jason Woods said both teams excelled at nationals. “When you compare the types of athletes our boys have come up against during the week, you appreciate the scale of their success,” he said. Jason said the boys have a good measure of where they sit in the national picture and both teams had represented the Kura proudly. 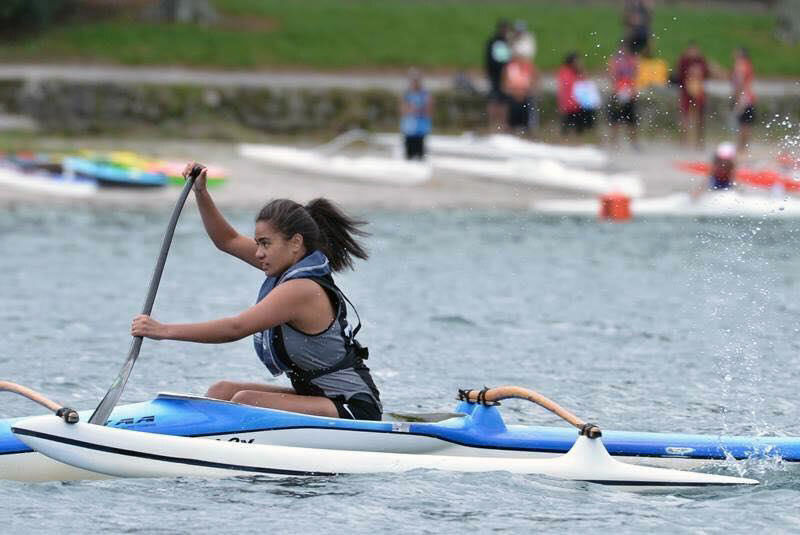 The Kura’s waka ama paddlers have returned home winners after a week of competition in Rotorua. 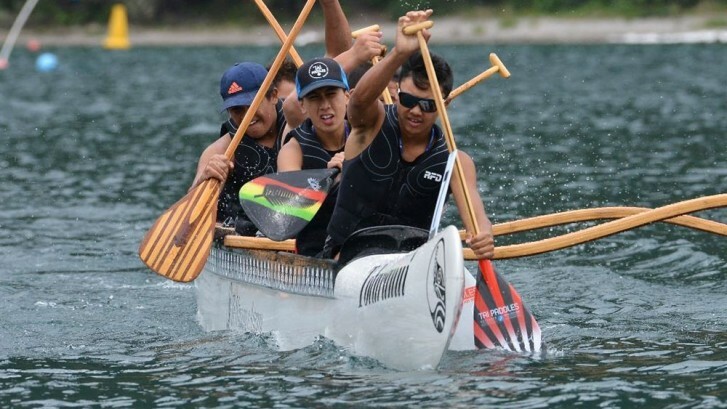 More than 20 paddlers representing the Kura went to the National Secondary Schools Waka Ama Championships at Lake Tikitapu. 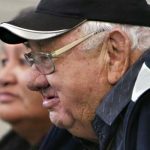 Their coach, Papa Ralph [Ruka], said the Kura should be proud of the achievements of its ākonga. While the paddling group has experienced both individual and team success, Papa Ralph said it was important to acknowledge the achievements of all the paddlers. 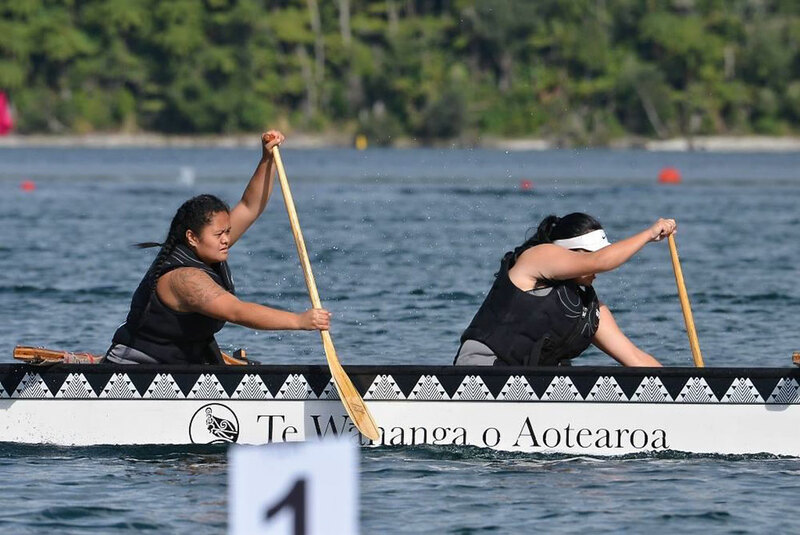 It’s the third year Te Kāpehu Whetū has competed at the waka ama nationals. Following on from the moderate success the paddlers enjoyed last year, Papa Ralph said the ākonga had raised their achievement levels another notch. U16, Mixed, W12, 250m, Bowl Final. Third (1:10.74s). U19, Girls, W1, 250m, Plate Final. Trieste (Trieze) Mei, third (1:25.95s). U16, Boys, W1, 250m, Championship Final. Kewene Edmonds, third (1:03.96s); Tane Heta, eighth (1:07.58s). U19, Girls, W6, 500m, Plate Final. Seventh (2:49.20s). U16, Girls, W6, 500m, Bowl Final. Seventh (3:04.76s). U16, Boys, W6, 250m, Championship Final. Seventh (0:58.85s). U13s will train on Monday and Wednesday from 4.00 – 5.30 at the Kura. Mouthguards and boots are necessary. All queries to Whaea Dallas in the sports department. Also, netball grading started today (Friday, April 1) for intermediates and seniors. The Leadership Academy of A Company is running two selection courses during the coming holidays. 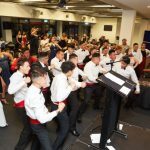 The boys involved will bring home permission slips before the Kura closes for the first term break. A gentle reminder the Paerangi Whānau hui is Monday, April 11, starting at 5pm to 6pm. This will be followed by a dress rehearsal for the Tai Tokerau Festival and a barbeque. Please bring a plate. Whānau who have ākonga sitting NCEA this year will find a copy of the NCEA information booklet and exam timetable accompanying this pānui, and both documents were sent home with ākonga previously. Please ring/contact the office for any absences. We are finding that whānau are not answering their phones or returning messages when the Kura inquires about absenteeism. Whānau are advised that the girls black acrylic cardigans with buttons, can be purchased from the Warehouse or Kmart. Similarly, the boys black v-neck plain acrylic jersey, can be purchased from Kmart or the Warehouse too. The U19 Girls team in action at the Waka Ama Secondary Schools nationals at Lake Tikitapu in Rotorua this week. The victorious U16 Mixed W12 Bowl finalists show celebrate third place during the medals ceremony. While (right) Papa Ralph showcases another side to his repertoire.